It's OK if you are a Russian or Ukranian agent first, before working for China. However, Biden's trip also coincided with a story about his youngest son. Hunter Biden was tapped last month to join the board of Burisma Holdings, Ukraine’s largest private gas producer. At the time, The Guardian wryly explained the oddity of Biden-spawn's new gig. Isn't that a bit fishy? Why do you say that? Because he's the vice-president's son! That's a coincidence. "This is totally based on merit," said Burisma's chairman, Alan Apter. He doesn't sound very Ukrainian. He's American, as is the other new board member, Devon Archer. Who? Devon Archer, who works with Hunter Biden at Rosemont Seneca partners, which is half owned by Rosemont Capital, a private equity firm founded by Archer and Christopher Heinz. Who? Christopher Heinz … John Kerry's stepson. Wow.....just wow. See I knew that would just be the tip of the iceberg. Corruption and nepotism indeed. Funny how these guys are involved in all the global hotspots over the past few years. First China, now Ukraine. That is just in an hour or two this morning. What else is out there? First Ukraine (2014), then China (2018). I'm sure the well goes very deep on this one, but since Joe lost his son Beau, no one in the media is going to touch this third rail. Really. Beau's death is like a license to do whatever they want, unfortunately. Algol also known as the Demon Star. The name Algol derives from Arabic رأس الغول raʾs al-ghūl : head (raʾs) of the ogre (al-ghūl) (see "ghoul"). In Hebrew folklore, Algol was called Rōsh ha Sāṭān or "Satan's Head"
Historically, the star has received a strong association with bloody violence across a wide variety of cultures. In the Tetrabiblos, the 2nd-century astrological text of the Alexandrian astronomer Ptolemy, Algol is referred to as "the Gorgon of Perseus" and associated with death by decapitation: a theme which mirrors the myth of the hero Perseus's victory over the snake-haired Gorgon Medusa. Astrologically,[clarification needed] Algol is considered one of the unluckiest stars in the sky, and was listed as one of the 15 Behenian stars. The Democrats-MSM wanted to roast Donald Trump junior because a bank in Russia had his e-mail address in their contacts. 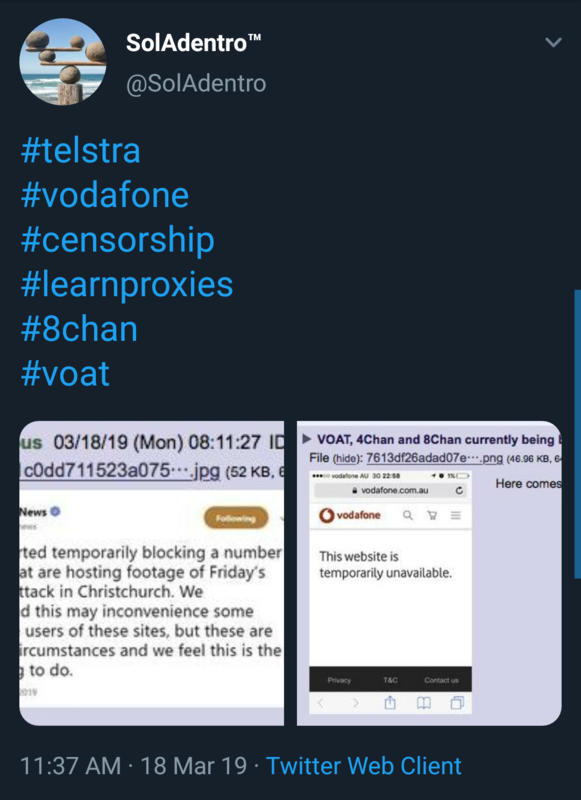 Voat 8chan and 4chan being blocked by proper internet companies. NZ threatening 10 years in prison for those in possetion of the video. One person has already been arrested for "comments" about the attack.